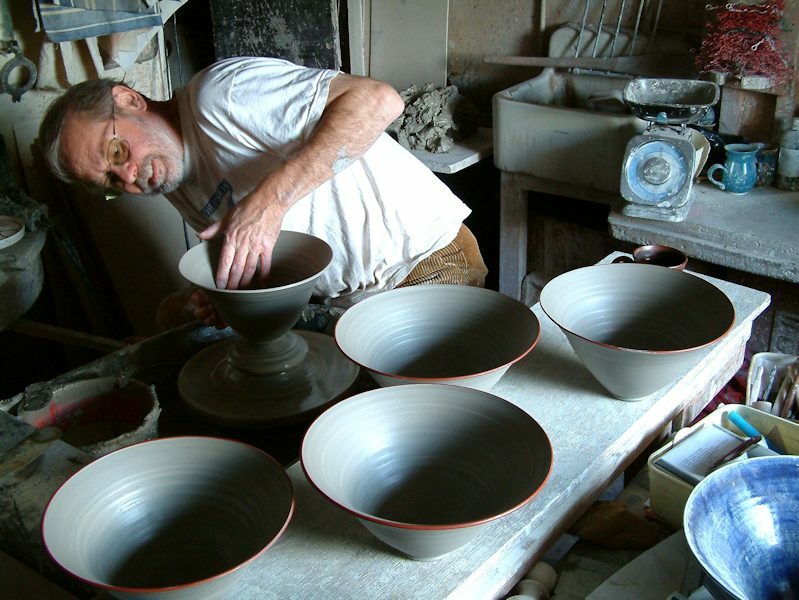 Ned Heywood started producing ceramics in 1973. He trained as a designer and his work has always been characterised by precision and detail. For the last 20 years an increasing proportion of his production has been produced for major companies, corporations and civic societies. He moved to Chepstow with his partner Annie, when she was appointed curator of Chepstow Museum, and set up his first workshop in 1983. He now works entirely to commission from a new workshop in a 220(at least! )-year-old pub just down the road from the first workshop where he spent 30 productive years. He has always been fascinated by history and has worked on museum exhibitions and co-written and produced several historical spectacular productions in Chepstow Castle and Tintern Abbey. Disappointed by intrusive and easilyvandalised interpretation signage , he realised there was great potential in the material he used daily, clay, for historic interpretation which was more sympathetic and robust. He has developed a unique range of skills and novel techniques for applying the full range of graphics to ceramics. Ned Heywood has been deputy Mayor and Mayor of Chepstow and co-founded the Chepstow Festival in 1988, he was awarded an MBE for his services to the community in Chepstow in the Wye Valley in the Queen's New Year's Honours list 2014.